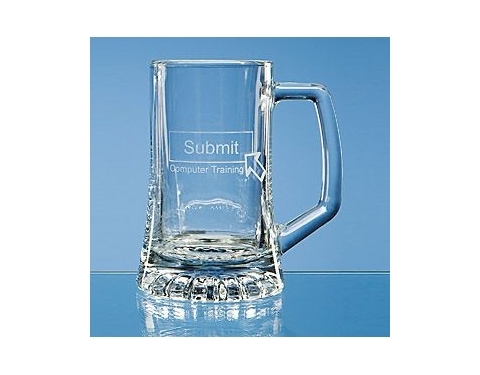 These small tankards represent fantastic value for money they are extremely durable and suitable for every day use or can be put on display. Not only can they be personalised with sandblast engraving, they can also be decorated with an etch effect, colour or silver print, contact us for more details. 122 x 80 mm dia.